Well here is a serious race car. Pre-war Maserati racers were some of the best in their day, competing head-to-head against the likes of Alfa Romeo and Bugatti. The Maserati Tipo 26M gave way to the 8C 2800. When their eight-cylinder engine was upped in capacity, the 8C 3000 was born in 1931. This is the fourth 8C 3000 built and it was built in 1932 for the 1933 season. The 8C 3000 was the final two-seater Grand Prix car Maserati built. It’s powered by a 2.8-liter straight-eight engine, supercharged to make 220 horsepower. The crankcase for this car was discovered in the 1960s and later an axle was found (along with some other parts). The car is reconstructed of parts but is faithful to the original. There are two existing 8C 3000s that are more complete, but this is still a special car. It’s one you can use in historic racing – or even on the road. It’s fast, powerful, light and it probably sounds glorious. No pre-sale estimate is being provided so it should be expensive. Click here for more info and here for more from this sale. Before Ferrari, Red Bull and McLaren there was Alfa Romeo, Mercedes-Benz, Maserati and Auto Union. The 1930s were a thrilling (and scary) time in Grand Prix racing and some of its all-time stars came from that era: Caracciola, Nuvolari, Rosemeyer, Varzi and more. And so did one other man: Enzo Ferrari. 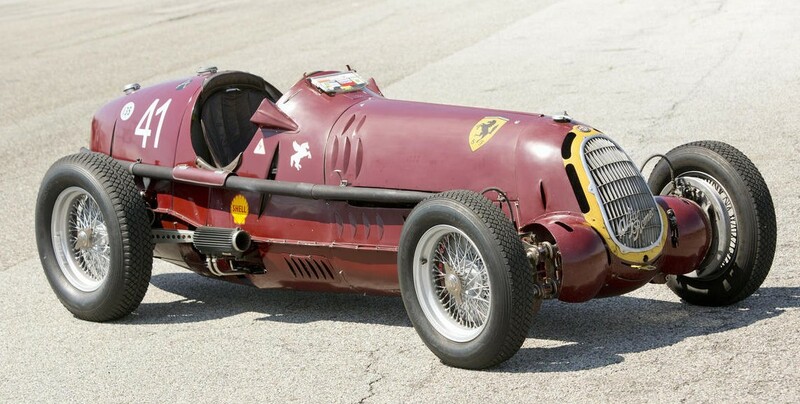 Scuderia Ferrari began as a race team in 1929 – becoming the Alfa Romeo factory team. It wasn’t until after the war that he started building his own cars. Ruesch sold the car in 1939 after much success (and a few major repairs). The car came into the hands of Dennis Poore during the war and he maintained the car for 40 years, using it in a fair number of events. It was sold at auction in 1988 and was restored to its 1930s-era look in the late-1990s. The current owner acquired it about 10 years ago and has used it in some historic events as well. 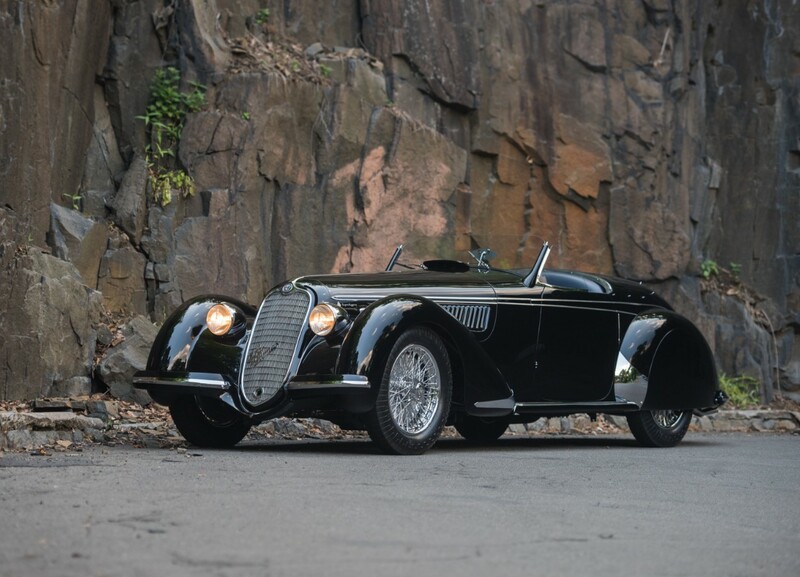 This is the only surviving example of an 8C-35 and it should sell for between $8,600,000-$10,000,000. Click here for more info and here for more from Bonhams at Goodwood. 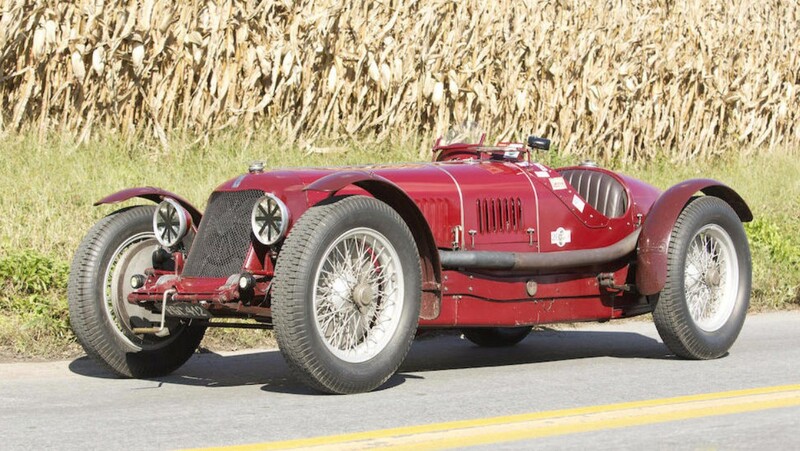 The Alfa Romeo 8C was introduced in 1931. The first two years of production consisted of the 2300 model – the engine being a 2.3-liter straight-8 with a Roots supercharger good for more than 165 horsepower. 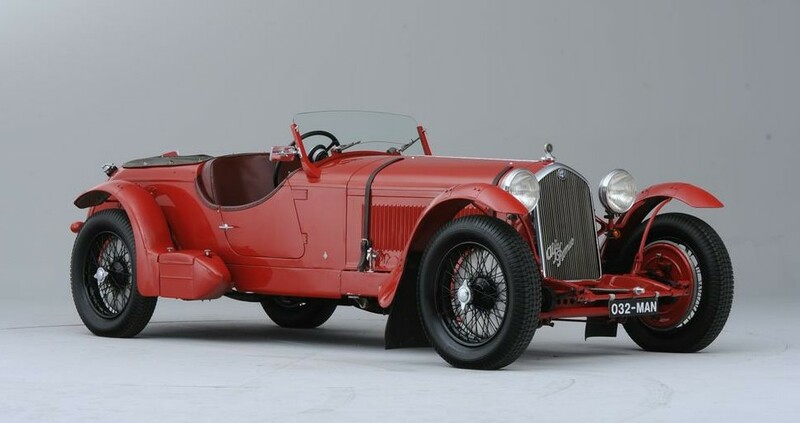 This car was from the second year of production and was used as the third of Alfa Romeo’s three works entries for the 1932 24 Hours of Le Mans. The car was piloted by the winners of the 1931 race – Henry “Tim” Birkin and Lord Earl Howe (they won in 1931 in a different 8C 2300). They placed 12th in this car in 1932 – a DNF due to a blown head gasket. After repair, it was run at the 1932 RAC Tourist Trophy race at Ards, Ulster, placing 4th (with Howe driving). 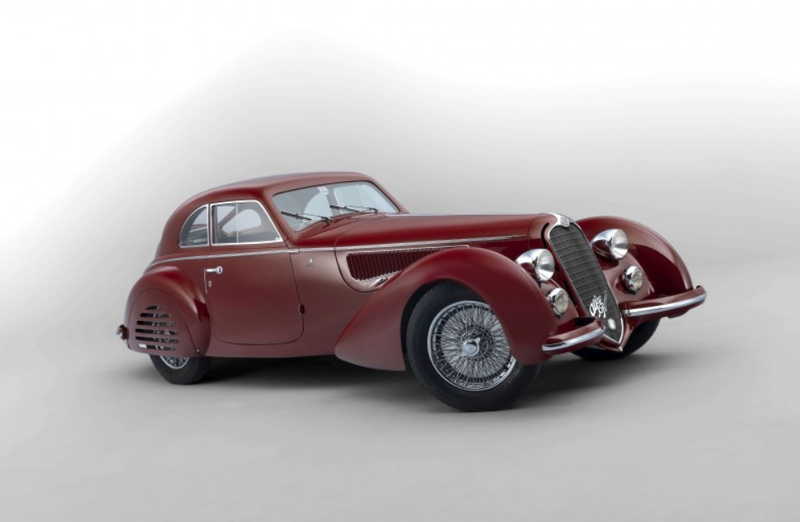 Afterward, the car went back to Alfa Romeo and was sold to driver Giuseppe Campari, who sent the car to Carrozzeria Touring so they could turn it into a road-friendly Drophead Coupe. It was then sold to Italo Balbo – a rising star in Mussolini’s fascist regime. He was to become the Marshal of the Italian Air Force and Governor of Libya before his plane was shot down in 1940 and he was killed. Before he died (actually in 1935) he sold the car. It passed through numerous owners until it was acquired by its current owner in 1996, who had the body re-configured back to a more appropriate Le Mans-style body. 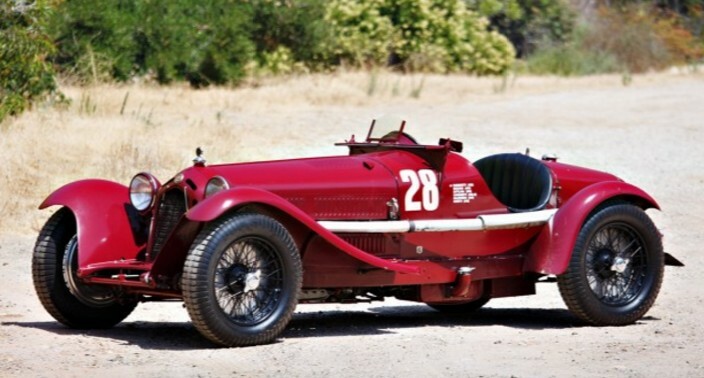 The 8C is the big dog among pre-war Alfa Romeos – comparable to a “Blower” Bentley. And like the Bentley, they aren’t common and they aren’t cheap. This one, albeit with its impressive, known history, is estimated to sell for between $3,900,000-$6,200,000. For more information – including a mini-biography of Italo Balbo – click here. For the rest of the Bonhams auction lineup, click here.